Within days of having a case slapped against him for alleged misbehaviour with media persons, AAP MP Bhagwat Mann commented on his previous outburst saying that it was in reaction to certain irritating questions, and said that he 'respects' the media. 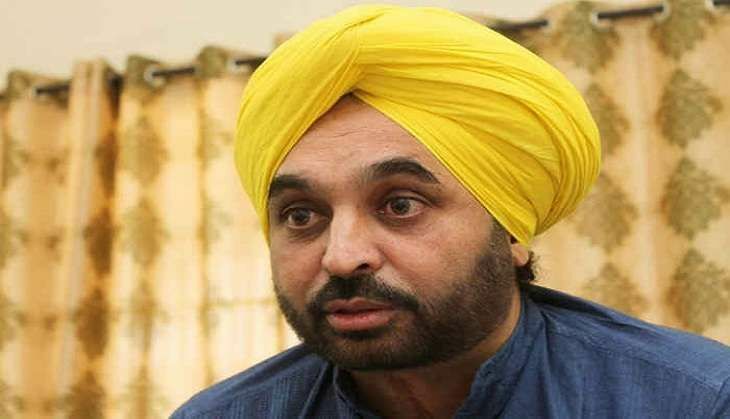 Punjab Police has registered a case against Mann on the complaint that he and his supporters had allegedly misbehaved with media persons at a rally in Bassi Pathana in Fatehgarh Sahib district on September 1. Addressing 'Badal Bhajao-Punjab Bachao' rally at Mianpur village near, Mann said he had reacted the way he did after he was asked "irritating" questions. A case was registered on the statement of some journalists against Mann under various sections of the IPC including 109 (punishment of abatement if the act abetted is committed in consequence and where no express provision is made for its punishment), 153 (promoting enmity between different groups) among others. The media persons had also alleged Mann used derogatory remarks against them at Bassi Pathana. Also, Mann welcomed the appointment of Gurpreet Ghuggi as party's Punjab Convenor. At the event today, Mann accused the ruling party of trying to vitiate atmosphere by disturbing AAP rallies. He alleged that SAD workers had attacked AAP workers at Malout and police had "failed" to register case against miscreants. He said violence has no place in democracy. He appealed to people to beware of the "designs" of SAD, which wants to create "disturbance" in the state. He also refuted the allegations that AAP was being controlled by outsiders. He said Punjab leaders are in full command of the party and tickers were being given to the residents of the state. Meanwhile, the Youth Akali Dal workers burnt effigy of Mann at Landra in Mohali district.